If you own an iPhone 7 or iPhone 7 Plus, then you must have spent a fortune on getting this beauty. Owing to the same reason, you need to take special care of your iPhone 7 or iPhone 7 Plus smartphone. You would not like to get bruises or scratches on your phone. Your iPhone 7 and iPhone 7 Plus need special care. To ensure the same, there are several protective cases that offer different kinds of functionalities to the iPhone 7 and 7 Plus models. If you are in a quandary about which case is the best one for you, then our detailed review of the different best cases for iPhone 7 and iPhone 7 Plus can help you out. This case with a stunning and amazing presentation can leave you awestruck with spectacular beauty. 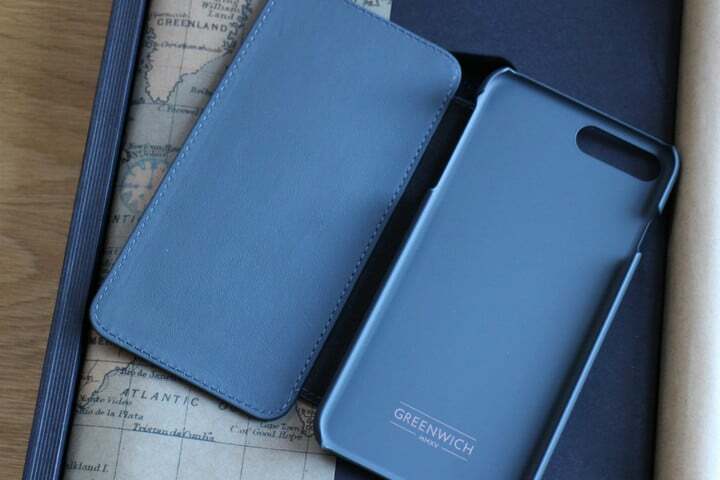 The Greenwich leather case has a stunning appearance along with top-notch feel. The case comes with not too soft and not too hard textures that can impart the desired functionality to the iPhone 7 users. The case comes with a folio cover that conceals the carbon fiber panel that provides ultimate protection. The case makes use of the magnet for getting opened and closed. Thus, it ensures ultimate protection with a strong clasp of the iPhone inside. The metal surface of the iPhone can be fixed into the case with a strong grip. To top it all, if you wish to have a case with the design and pattern of your preference, you can customize the same. This elegant leather case for the iPhone 7 and iPhone 7 Plus comes in an attractive color option. The Nomad Leather case offers a royal touch with midnight blue hue combination. The special feature of this case is that the midnight color of the case attracts the natural light to offer a shade between blue so deep that appears to be almost black to another shade of brighter blue when in bright sunlight. 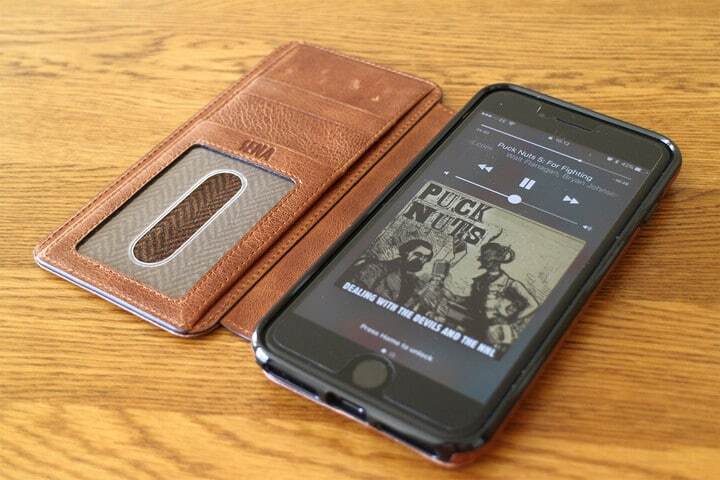 Nomad makes use of the Horween leather for ensuring the protection of the case. This tends to develop a glossy appearance over time such that the classic finish gets associated with the finest leather cases for the iPhone 7. The fit of the case is excellent and there is the presence of a soft microfiber lining that can keep the phone safe and secure. There is also a bumper appearance that ensures that the screen of the phone remains untouched even when the iPhone would fall face down. Worried whether a rugged case would look good for your iPhone 7? However, with Nomad Rugged case, you can be all wrong. 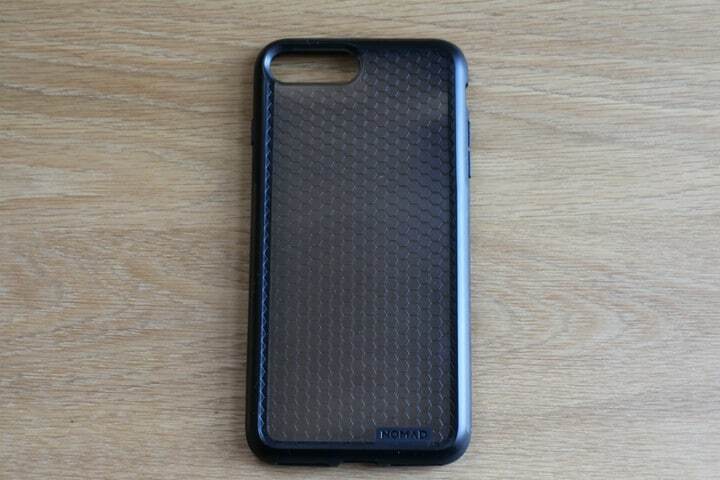 The honeycomb design on the back of the rugged case. This would raise the phone from the back that would offer great protection with the shock absorbing layer. The rugged case has also been tested for ultimate protection from a height of two meters. There is also the presence of a flexible edge that ensures all-around protection. To top it all, it is super light and does not add much of the bulk to your iPhone. Wish to impart a classy and fun look to your iPhone 7? 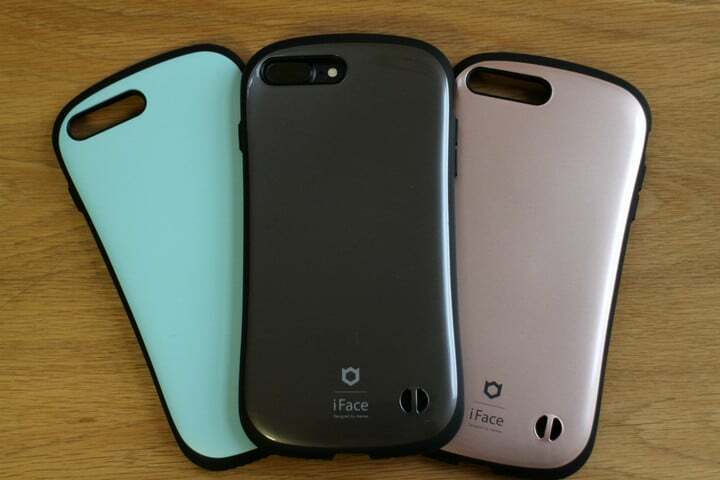 You can go for owning an iFace First Class case for your smartphone that comes with unusual shapes and design to offer the fun feel. There is a subtly curved contour to the sides that accentuates the overall look of your iPhone. The curve structure not only appears great, it also tends to ensure a strong grip on your phone. The rubber edges also accelerate the firm grip of the phone. The case also comes with a honeycomb-shaped interior that tends to increase the protection from the phone drop. The iFace First Class case meets the military requirements in terms of offering ultimate security. 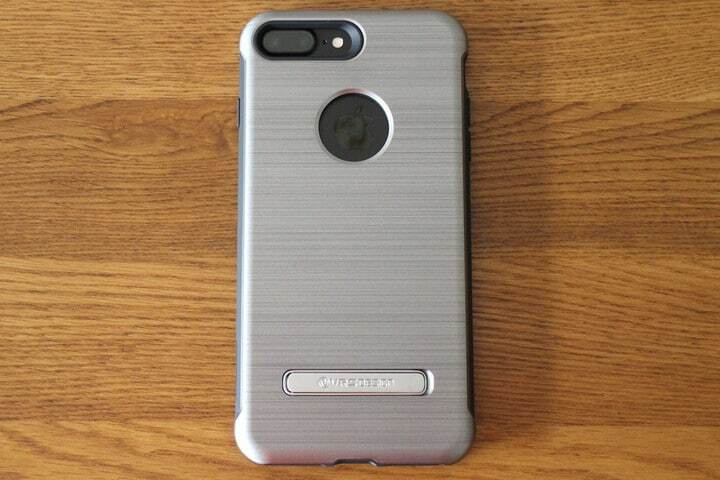 The rear of the case is smooth and has openings for a strap that comes in a variety of color options. The pearl gray version is breathtaking along with the emerald green model. The case is highly lightweight and highly comfortable in the grip. There is also the presence of a metal plate located inside the body of the case for the magnetic in-car holder of the case. The simple and minimalistic design of this case will take your heart away. If you are looking for a case that reflects true class and elegance to your iPhone 7 smartphone. 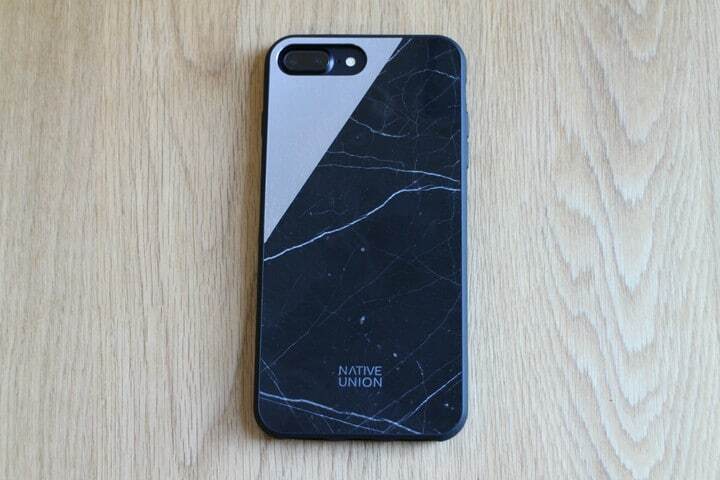 The case comes with a scratch as well as damage resistance that is made of real marble. Now you must be ensured of the top-class strength and protection that is guaranteed to your phone. Each piece of the Native Union Clic Marble case is unique and is reinforced with a fiberglass along with a durable metal panel that is fitted into the rubber body of the case to provide complete protection to the iPhone 7. The spectacular case is available in exciting color options including gold and black with brushed aluminum touch. This is an absolutely breathtaking case that tends to attract the admiration of those who are looking for class and royalty for their iPhone 7. To top it all, the overall fit and the finish of the case is excellent. With amazing built-in protection for your iPhone 7, this case can be your perfect choice for providing great strength and durability to your iPhone 7. The case is fit for both the iPhone 7 as well as the iPhone 7 Plus smartphone models. The case comes with a special covering with an aluminum plate inside to offer great robustness to the phone. It offers great protection to the screen of your phone as well as provides a strong base when the case would fold in the form of a stand. The phone can be used greatly with the Proporta magnetic in-car mount to ensure the great safety of the phone even when in transit. The case might appear quite heavy. However, the inner plastic phone holder is quite minimalistic and gives the phone a smart appearance. This attractive case is made with the Native Union’s distinct attention and care. 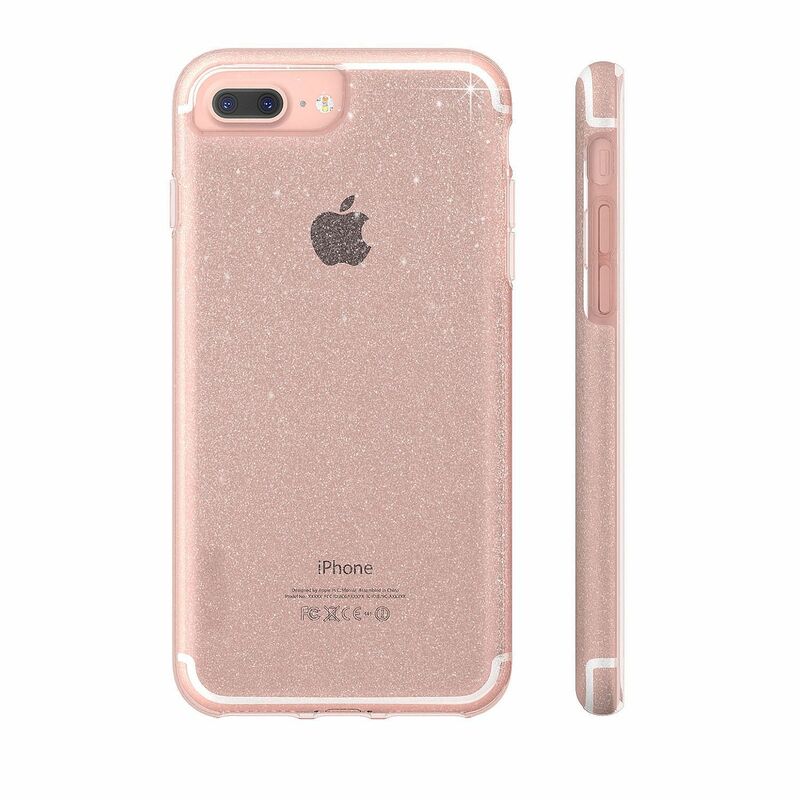 The Clic Cyrstal case goes with the trend for offering transparent sections such that you can flaunt your iPhone 7 to others with pride. At the same time, you can also impart great protection to your phone combined with ultimate strength and durability. 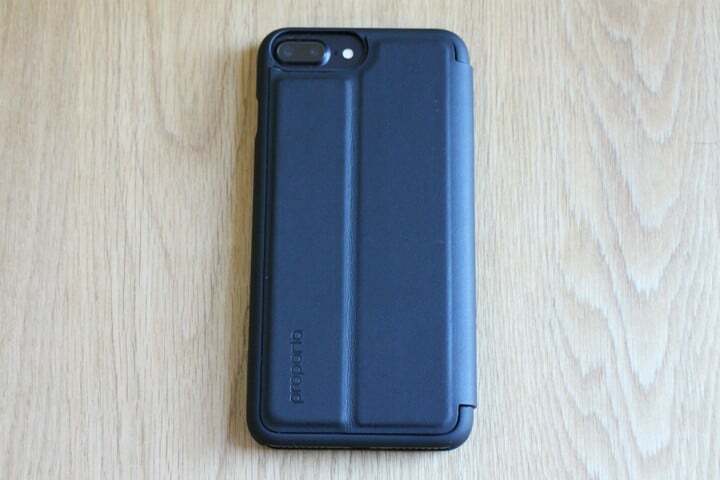 The protective rubber of the case acts as great shock absorbers. If you are looking for a case that offers great grip with elegant style, then you can definitely go for the Native Union Clic Crystal. Your iPhone 7 can fit perfectly into this case. Therefore, you do not have the need to worry at all with this spectacular iPhone 7 case. 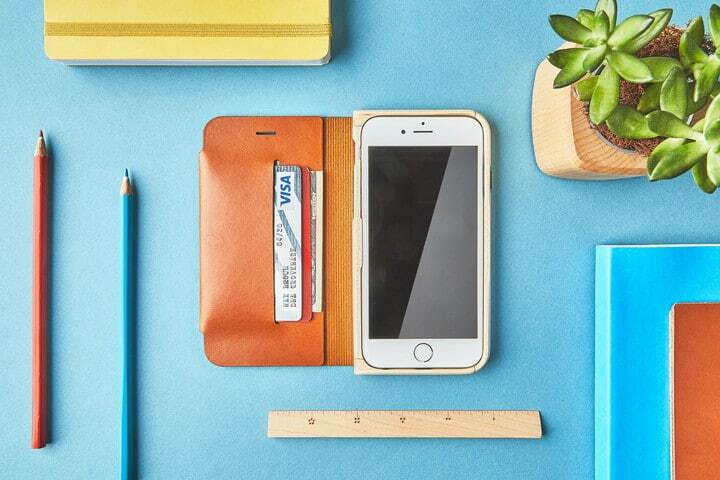 This could be your perfect break from the several folio cases that are available for the iPhones. The RhinoShield PlayProof case for iPhone 7 and iPhone 7 Plus protects the phone in an effective manner. There is a lid-protection around the screen along with a smooth polymer body that is capable of absorbing the shocks very well. Even when you drop the iPhone, you can be convinced of ultimate protection with this strong and sturdy case. The fit offered by the case is excellent. The subtle branding of the RhinoShield on the side looks amazing and tempting. This ensures that the rest of the case appears classy and elegant. This can be considered as one of the most appealing iPhone 7 cases to get your hold on. 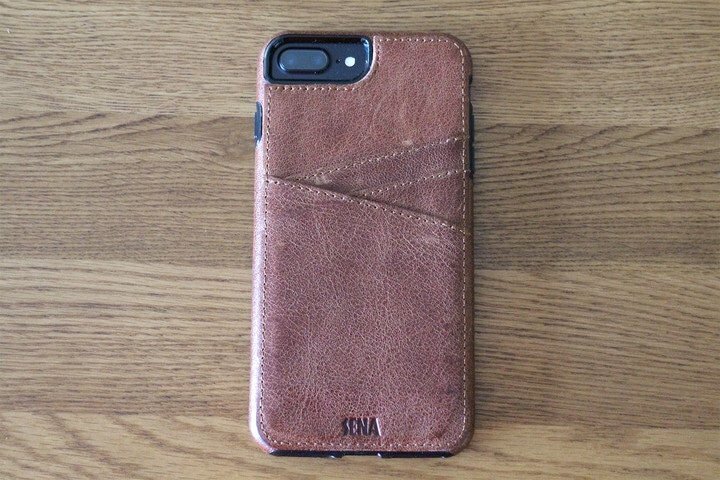 This classic case for both iPhone 7 and iPhone 7 Plus is made from the European cowhide nubuck leather that is a benchmark in itself. By looking at its aesthetic value, you would want to hold this wonderful case in your hand and make it yours. The feel of the case wallet is so amazing. The overall texture of the case on the outside as well as on the inside is simply amazing. The exterior of the case has been designed in the manner to provide ultimate protection to your iPhone 7 model. The iPhone is held in place in a slim and clear plastic case. There are wide cutouts on the exterior of the case to allow ease of access to the necessary buttons and icons. 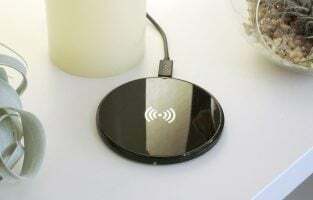 The users can be given proper access to the volume and power button along with the speakers as well as the charging port. On the opposite side of the case, there are three slots for keeping credit as well as the ID cards. There is also a pocket for keeping the extra cash. The case comes with a magnetic clasp that ensures strong grip of the iPhone when inside the case. The best feature of this Folio case is that it can be folded to watch movies and videos with much ease on your iPhone 7 model. In addition to the brown shade, the case also comes in the exciting range of burgundy and navy colors. A must-have case for the iPhone 7 and 7 Plus owners. This classic wallet case will cover all the basic necessities of your iPhone 7 as well as for iPhone 7 Plus models. The body of the phone is protected with the hard wearing of the leather along with reinforced plastic covering. 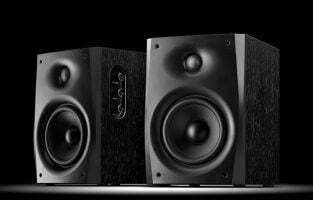 There is also the presence of the softer silicone surrounding for the buttons and the speakers that impart additional protection to these delicate areas. 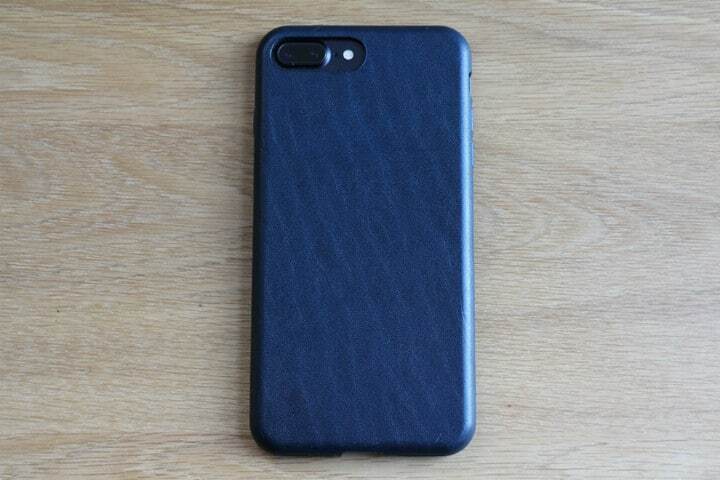 The case comes with a herringbone design lining that keeps the iPhone free from any sort of scratches when the phone is inside the protective case. The edges of the case are raised such that even when the phone falls upside down, no damage is caused to the screen directly. The rugged surface of the case ensures ultimate grip and act as shock absorbents as well. 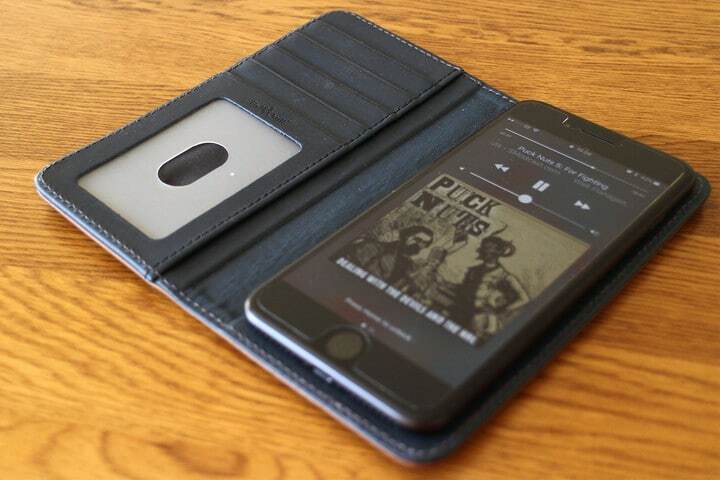 The case comes equipped with three card slots for keeping the credit cards as well as the ID cards. 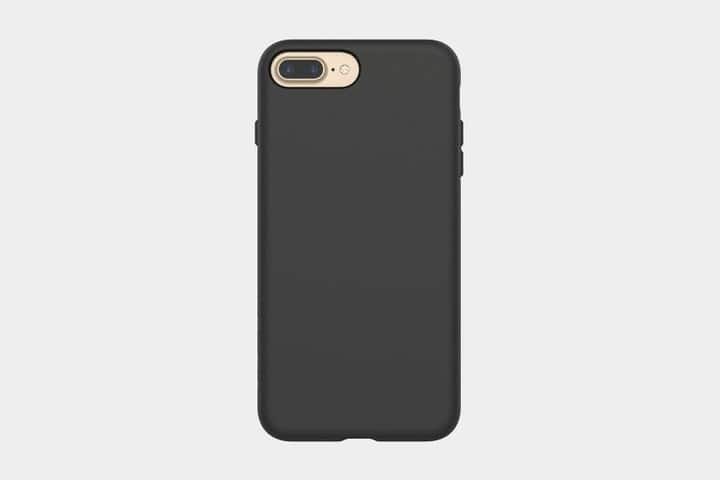 The case is available in an exciting color range from black, cognac, denim and basic colors for both iPhone 7 as well as for iPhone 7 Plus models. Sena’s Wallet book case is one name for providing ultimate protection combined with stylish elegant appearance to the iPhone 7 as well as iPhone 7 Plus models. With a Folio design, the case can serve as a hands-free stand for your iPhone 7. The folio case provides great protection to the screen and keeps it safe from any harm or damage. The case also comes with space for keeping two credit cards, identification cards, and even some loose cash. The case is lined with the herringbone design and the presence of the Heritage leather ensures that your iPhone is protected from all possible angles and sides. The case comes with amazing grip and easy fit for keeping your iPhone intact even under immense movements. Though the case does add a bit of bulk, however, there is no compromise with ensuring top-notch protection to the amazing iPhone 7 smartphone. To accentuate the overall look of your iPhone, the case comes in a variant of color and shade options. Some of the top ones include denim, black, and cognac color options. The case comes with the name of the Duo Guard as the case is made with both the polycarbonate as well as the TPU Plastic protection features. This amazing case provides MIL-810G standard protection to both the iPhone 7 as well as the iPhone 7 Plus smartphone models. This ensures top-notch protection against any drop or damage. The case offers a visual appeal to impart a classier military-standard protection as well as style to the iPhone models. The phone offers a brushed metal effect on the rear cover. The metal kickstand has been built into the case itself. The case is spring loaded and the phone remains closely attached to the case with a magnetic catch. The case comes with raised protection on the edges that protects the screen even when it falls to the ground. There is a grippy hold to the case that ensures any accidental fall of the iPhone. The case is highly comfortable and secure to hold in the hands. There are a variety of color options including cool silver, black, and several other attractive options. Wish to combine protection along with functionality to your iPhone 7 and 7 Plus case? This case offers you exactly that. The case is made of a single leather piece and comes embossed with the Pad & Quill brand name along with the logo. The folio case is best suited for both iPhone 7 as well as iPhone 7 Plus case. 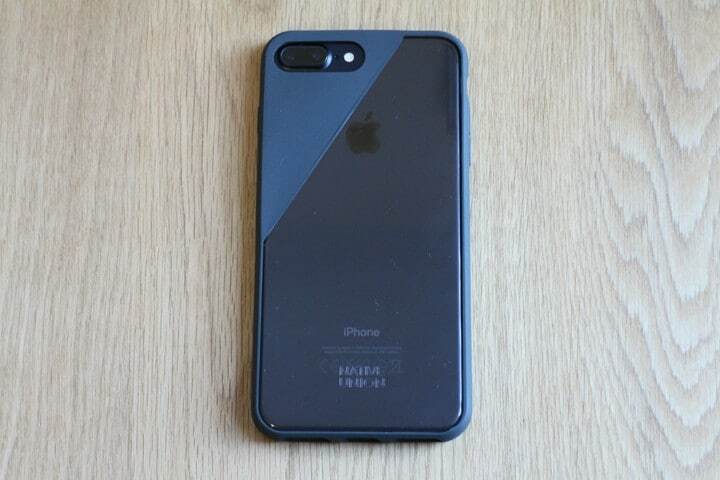 The unique feature of this case is that instead of clipping your iPhone into the case, the iPhone is attached to a sticky pad that keeps the smartphone in place. The pad is made by 3M. There is no residue left in the case even when you decide to remove the iPhone from the same. The folio case comes with four credit card holders, a window for keeping the ID card and some space for cash. With this case in hand, you need not carry your wallet at all. The case comes with a superb leather feel and the side stitching adds to the style factor. The whole case is completely lightweight and relatively slim. The case comes in three color options. Wait no more to grab this unique piece! When you have the Jet Black iPhone 7 Plus model in your hand, you cannot help but show off the exquisite Apple logo and overall design. With VRS Design Crystal Mixx transparent case, you can achieve the same with high style. 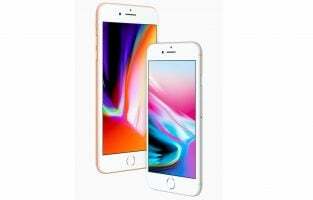 The case is made from a see-through polycarbonate material and comes with a raised side to prevent the screen damage even when the iPhone falls down. There is also the presence of a kickstand on the rear end of the phone that can help the users watch videos and movies with great ease. The sides of the case are highly flexible that ensures that the iPhone fits easily and with a stronger grip. There is the complete transparent version along with the rose gold colored version of the same. If you wish to have a lightweight case with great drop protection, then this could be the perfect iPhone 7 as well as the iPhone 7 Plus case for you. The best feature of this spectacular case is that it comes with a transparent outlook that lets you flaunt the amazing Apple logo with great pride. 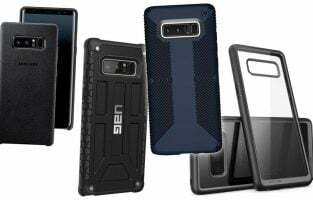 To top it all, the case comes with a special protective design and strong material build up that can ensure that your phone remains safe from damage. 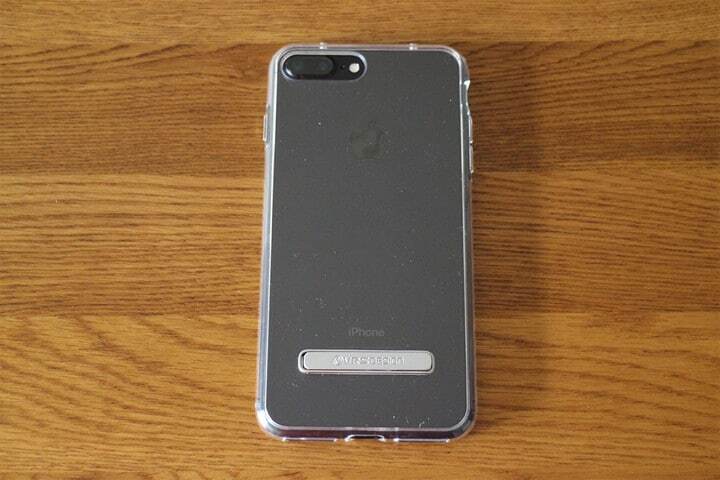 The rear panel of the case is opaque and comes with a subtle and unique Tech21 logo at the bottom. 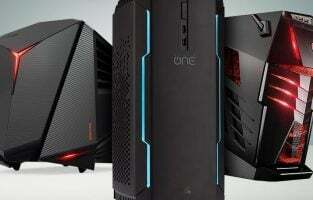 There is the presence of the essential cutouts like for camera, essential ports, and buttons for ease of use. The camera cutout is also raised a bit to ensure that the lens damage does not occur if the phone might fall from that end. 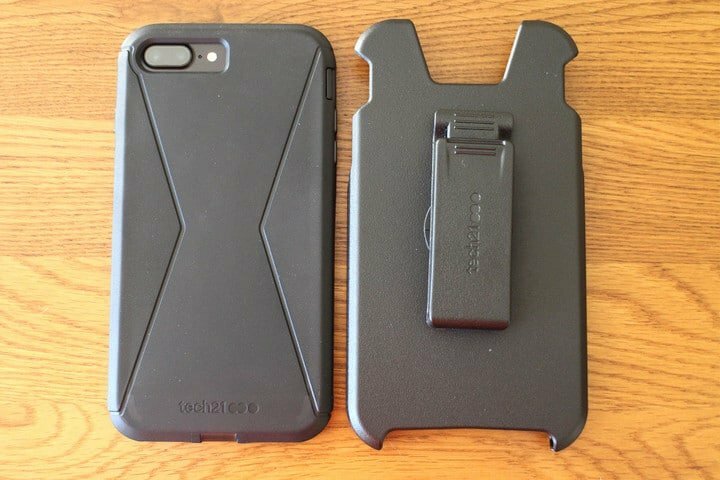 You cannot expect more protection for your iPhone 7 or iPhone 7 Plus when you are offered protection from two-case belt clip Tech21 case. There is the presence of a two-case protection case that comes along with the second section that offers a complete belt clip protection to the iPhone 7. The encased phone can be kept in this second section to ensure the even the screen is fully protected from any damage. The case is highly easy to fit and consists of a belt-clip front cover and an impact-absorbing wrap case that can slide safely into the belt clip. Once your iPhone 7 is inside the protective case, you can be ensured of topmost protection even from a height of 4 meters. This case might add a considerable amount of bulk to the iPhone. However, the unmatchable security and protection cannot be replaced easily with any other case. 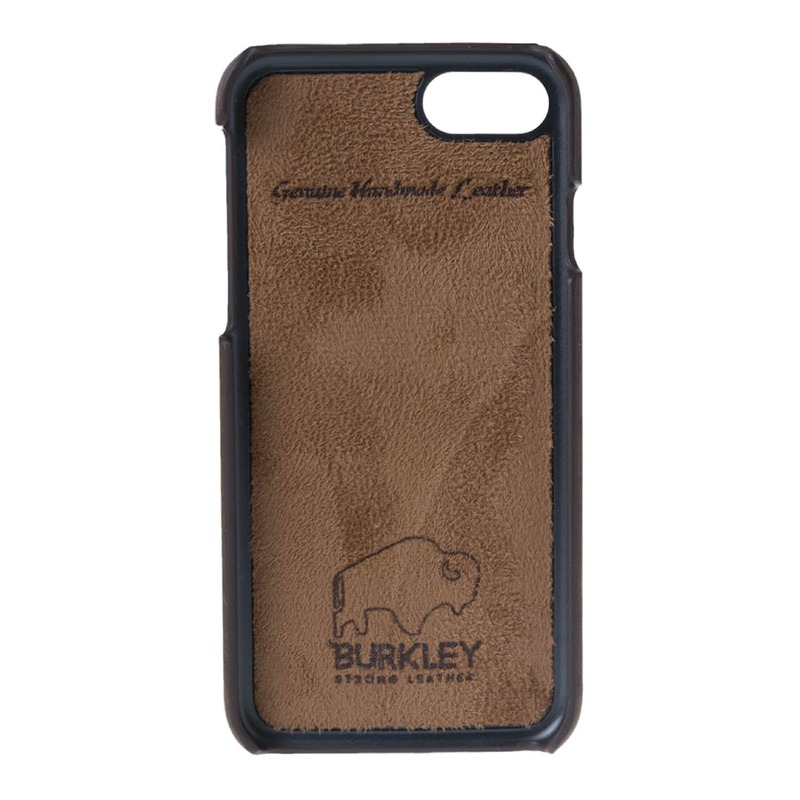 The Burkley Ultimate Snap-on stand case comes with a beautiful and majestic suede lining that accentuates the overall look of your iPhone 7 as well as the iPhone 7 Plus models. The case is made from the hard-wearing leather that comes with an unusual twist on the design front. There is the presence of the traditional folio case touch as well. The case has a flap with three credit card storage. 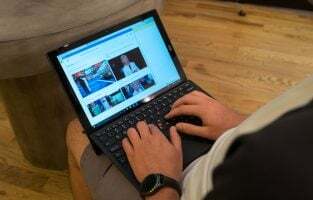 You can even fold the case with much ease to serve as a stand for watching videos and movies with much ease. When the hinge is not in use for watching videos, it is held upright in place with magnetic effects. The case is highly secure and once you have kept your iPhone inside this case, it is not easy to take it out. Therefore, you are assured of top-notch protection with this stylish case. 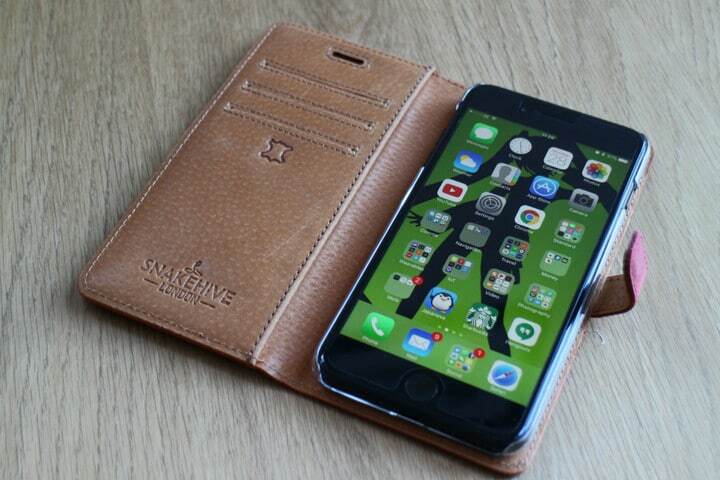 The users are also given the option to choose from a variety of hard-won leather to highlight their iPhone. You would be amazed to witness the amazing combination of the Skech’s soft silicone case with impact resistance to offer ultimate security and class to your iPhone 7 models. The Matrix case feels soft on hand as well as on the phone and comes with a sticky rubber touch on the sides to keep the phone in place. There is a honeycomb effect on the standard Matrix version of the case. With Matrix Sparkle version, the users will be delighted to offer the sparkly aesthetic appeal to their iPhone 7 & 7 Plus models. The case also offers ultimate screen protection for the iPhone 7 with raised lip on the front. There is a large camera cutout on the front as well as on the rear that is raised as well to ensure any damage to the camera lens. You can go completely natural with this amazing case that comes straight from Portland. The Grovemade’s iPhone 7 and above cases are highly special and unique. You would sport the amazing natural touch of the walnut wood frame with a full grain leather cover that wraps the phone in a great protective layer. There is the presence of the tactile button covers and openings for the essential ports, switches, and camera. 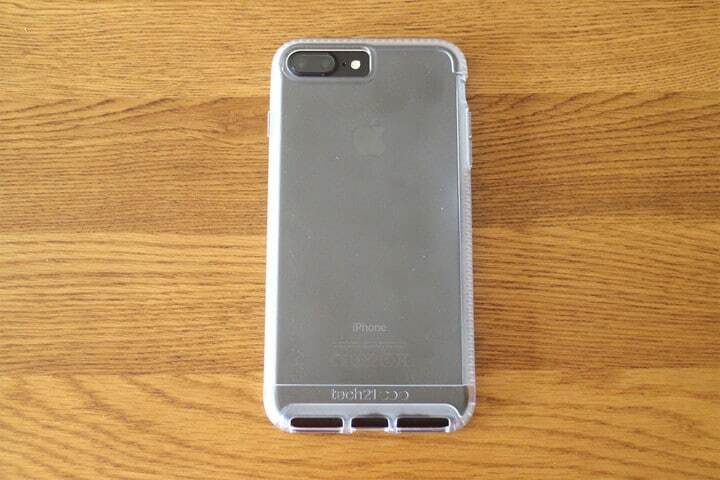 You can open the case to unfold your iPhone encased in a secure phone cover. There is the space for several card slots and even some cash and ID card. The combination of wood and leather can impart a priceless collection of the smartest range of the iPhone 7 and above cases. 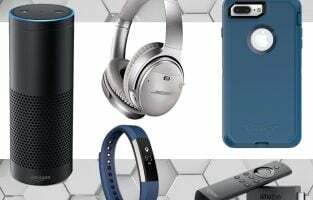 The case is designed to deflect bumps and scratches. Though the case might add some bulk, it can be a great option to those who wish to include an amazing aesthetic appeal to the iPhone 7 and above models. Browse through the amazing range of the most stylish and protective case for both iPhone 7 as well as for iPhone 7 Plus models. Make the rightmost selection for your iPhone and flaunt your Apple’s benchmark logo and brand design with pride.